“Truck and Game Trailer” (Mobile Game Theatre) combined length is roughly 14.5 meters and 2.4m wide. We stay connected throughout the event. 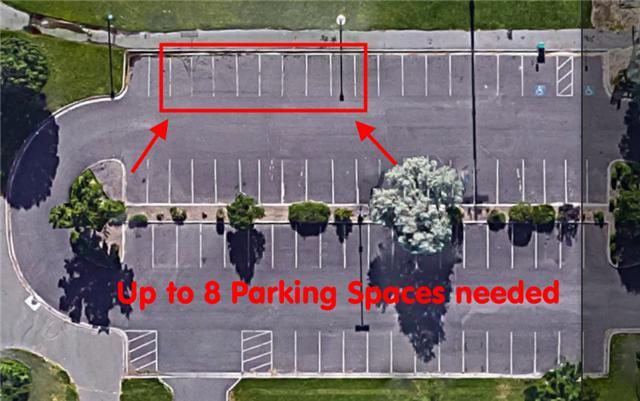 We typically occupy 7-8 parking spaces in a large parking lot. 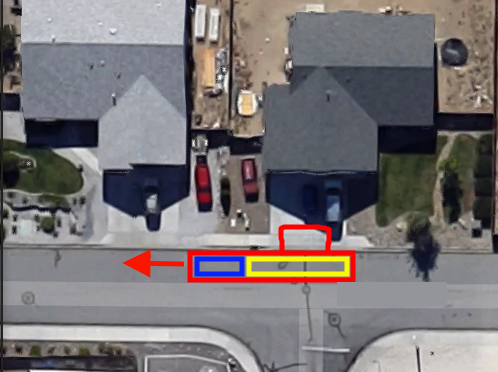 Our goal is to park where the entry door will line up with a driveway or area where dancing or action gaming can occur in a safe environment. Narrow streets and sharp turns are not preferred. We try to stay out of most driveways unless it is quite long with a weight bearing type surface of cement or rock. The customer is required to provide a safe area for the Mobile Theatre to park and pull out after the event. When the truck pulls up, we will try to park in the best area or logical spot to accommodate your party. We prefer to park on your neighbourhood street, so you might want to let your neighbours know (in case they may object) or let us know if you have a preferred spot for us. We might also have to block a driveway. **Please keep in mind that our Game Coach will not park anywhere that may cause a danger to persons, property or equipment. If the location is deemed unsafe for the customers, players or other guests at the time of arrival, Ghostly Games Entertainment will request an alternative location be provided. Ghostly Games Entertainment or any of its employees will not be responsible for any damage to property resulting from a request by the client to position the theatre in a specific location. This includes both above and below ground property/equipment damage. Don’t have parking space for the game trailer? Don’t want 20-30 children at your house? Try an alternative location for your event/party. Park, church, school or community centre. We can park at most of these locations. Need a recommendation? Gives us a call and we can assist with all your planning!